Sony Computer Entertainment Inc. (SCE) announced today that it will release Bluetooth® Stereo Head-set Receiver and Converter Cable Adaptor for PSP® (PlayStation®Portable)go (PSP-N1000) on December 24, 2009, in Japan, at a recommended retail price of 4,980 yen and 1,980 yen (both including tax), respectively. These peripherals will also become available in the Europe/PAL territories beginning January 2010*1 at a RRP of €39.99 and RRP of €14.99 respectively. With a sleek design that matches perfectly with PSPgo, users will be able to enjoy a variety of entertainment content sounds comfortably through the Bluetooth wireless technology with the combination of commercially available head-phone and head-set. The Bluetooth Stereo Head-set Receiver pairs easily with PSPgo by simply holding the power button of the receiver, and operation buttons on the receiver will also enable users to instantly play, stop, pause, forward, rewind, and adjust the volume of music and videos. Additionally, the receiver can be paired with up to eight Bluetooth devices by using the Multi Pairing Feature. With the new Converter Cable Adaptor*2, PSPgo users will be able to utilize the existing peripherals for PSP such as 1Seg Tuner, GPS Receiver and Camera designed for PSP-1000, 2000 and 3000 series on the PSPgo system that adopts Multi use connector. 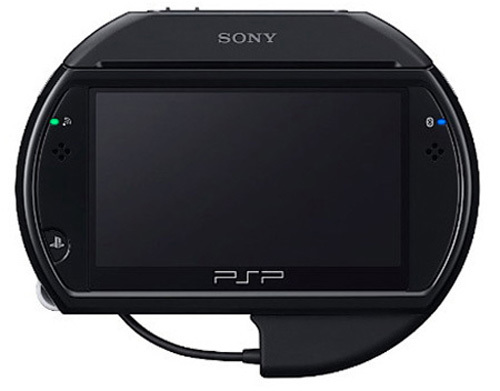 SCE will continue to further expand the PlayStation platforms with these new peripheral and accessory line-up with introducing the new PSP line-up, PSPgo. ScoobyDoo: Saving Shaggy FREE – fun or no fun?